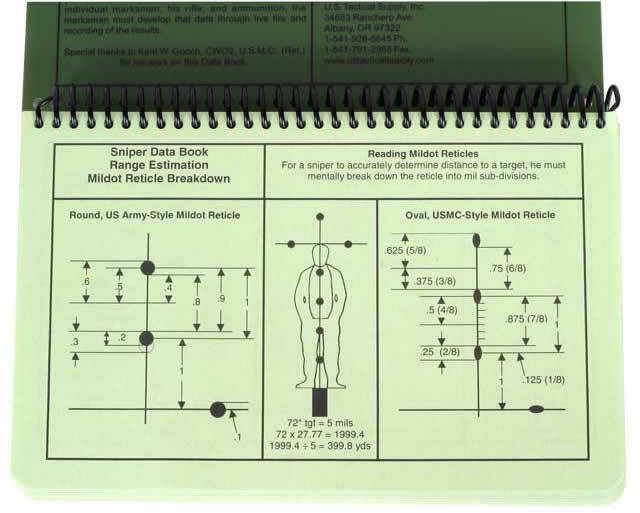 The Sniper Data Book features 14 pages of formulas, conversion tables and charts on range estimation, wind, moving targets, and angle fire. 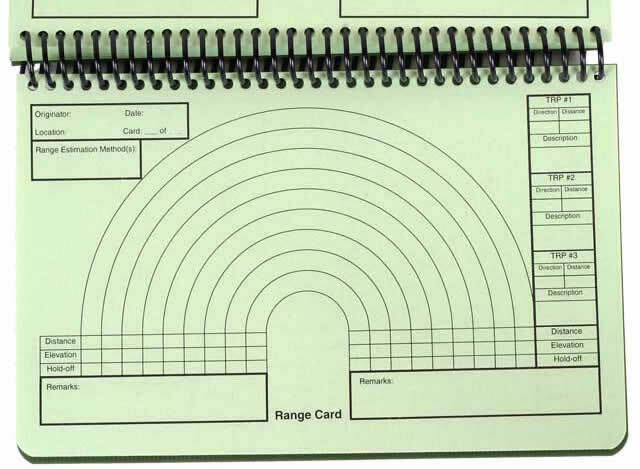 Also includes data sheets for zero summaries, cold bore shots, zeroes, bullseye, stationary, unknown distance, and moving targets. 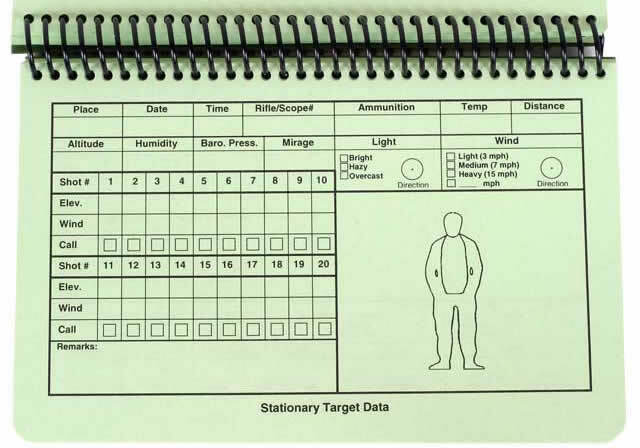 Various mission sheets and a barrel log are also included. For 7.62 mm NATO/.308 and .300 Win. rifles. Features Mil Spec materials and construction. Printed on 20 lb. bond, tactical green Rite in the Rain paper. Cover made of polydura plastic with black plastic spiral ring. 128 leaves, 256 pages, double the size of most competitors' books. 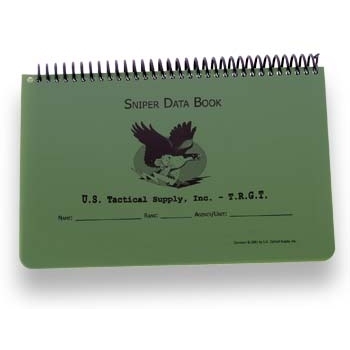 Check out our Sniper Data Book Cover here.